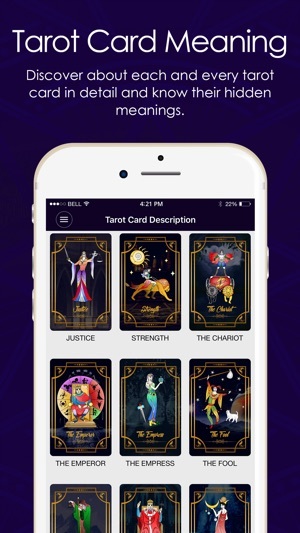 Explore the power of Tarot Reading and Numerology to know about the important aspects of life deeply with free tarot card reading app. Let our renowned Tarot Readers and Numerologists help you discover about your future and other hidden secrets in a more detailed and insightful manner. Free Tarot Card Reading - Find everything that you are looking for. Do you need answers to the most difficult questions related to your life? Do you want solutions for the problems that have been troubling you since a long time? Focus on the question or problem you need to find answers for before picking a 3 Card Spread from a tarot deck of 22 Major Arcana Cards. The cards you pick are going to reveal some hidden secrets and help you discover about your future in a better light. 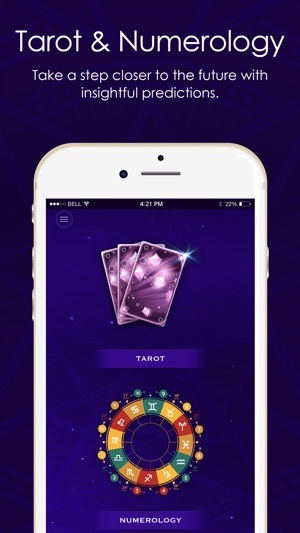 So, get ready to get some insightful Tarot Card Predictions. Tarot Card Reading is basically a magical guidance that can take you much closer to your future. The reading enables you to know your life in a better way and get clear insights on your past, present and future. Know about you, your soul, your life, and your future from the comfort of your home without having to bear any cost or pay any price. 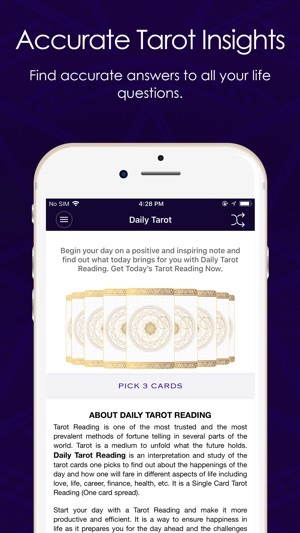 Get access to the mystical world of Tarot Reading with just one click. 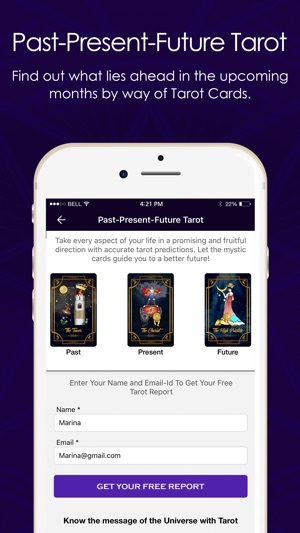 Tarot Card Reading Predictions help you confront your fears, enhance your understanding about life, introduces you to new opportunities and give the solution to all your life problems. Tarot Card is not a medium to predict about the future. It is strikingly different from the norms of traditional astrology. Tarot Card Reading studies your life problems, your behavior, your questions and then it interprets the patterns and the symbolic meaning on the basis of the cards you pick to throw light on what the future holds for you. Tarot Reading is more inclined towards spirituality and knowing the hidden secrets about yourself! How Tarot Card Reading Works? Tarot Card Reading is a form of psychic reading which is done from a Three Card Tarot Spread from a deck of 22 Major Arcana Cards. These 22 Major Arcana Cards (The Fool to The World) predict about the significant events in one’s life. Every major milestone of your life is hidden somewhere in these 22 cards. Each card depicts a symbolic meaning which touches on the important nuances of life. In a Tarot Reading, it is important to have your thoughts together when you pick all the three cards. Whether you want to know about love, or career, you will surely get the answer or the path to your answer through this Psychic Tarot Reading. Make your day more positive, happier, efficient and inspiring with an insightful tarot reading. The future is somewhere hidden in your birthdate. Numbers can convey a lot about your life and its various integral aspects. Know about your Life Path Number, Destiny Number and Maturity Number. 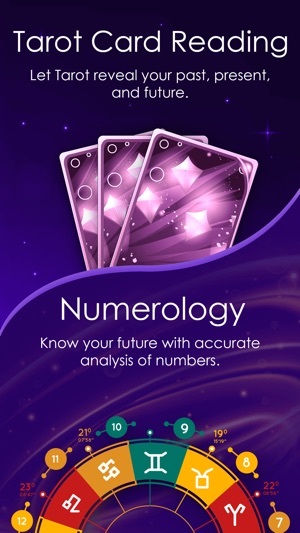 Get a detailed Numerology Reading and analysis by date of birth and name through a Numerology Chart, about how these numbers are relevant and in what manner they influence your life. - Three Card Tarot Reading: It is a more detailed and insightful form of Tarot Reading which elaborates on the three stages of life, i.e. Past, Present and Future and gives you a clear idea of where you are heading. 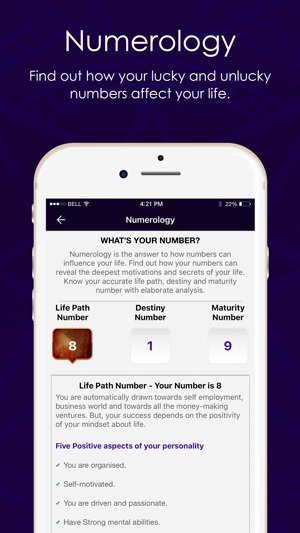 - Numerology Reading: Know your Numerology Life Path, Destiny and Maturity number by name and date of birth, with accurate Numerology Calculator. 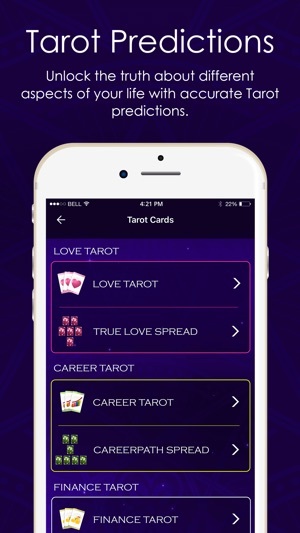 Unique tarot insights through True Love Tarot Spread, Success Tarot Spread, and Career Tarot Spread. This app is incredibly accurate!!! The yes or no questions are a great addition and they help me decide on things from my day to day life. 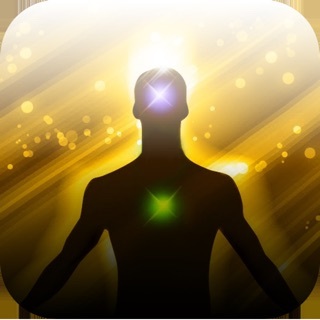 I would recommend this app if you're indecisive, still figuring out your path, or trying to strengthen your intuition. I’m one who never gives reviews, good or bad, this is my first I’m very impressed. Copyright © 2019 Innovana Techlabs Ltd. All rights reserved.